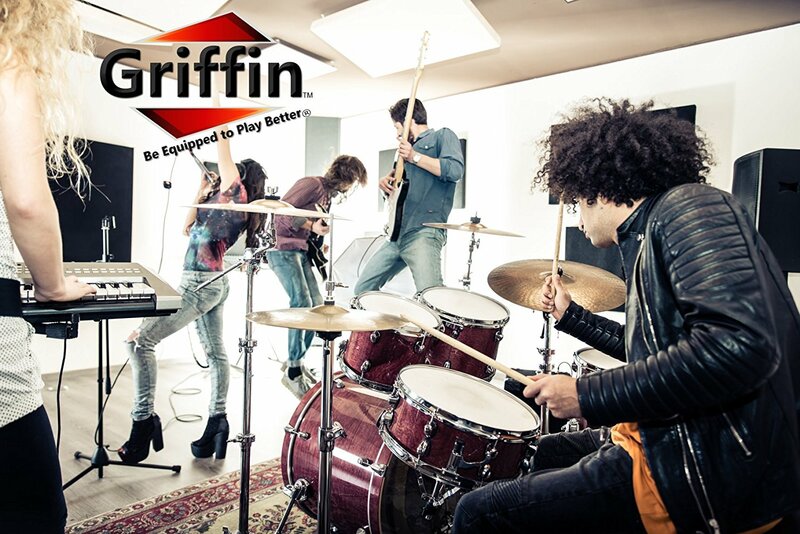 Organize Your Guitars with a Premium Five-Guitar Rack Stand By Griffin! Keep your guitars neatly organized and transport them in full safety with this premium quality, deluxe, collapsible multi guitar hanger stand that allows you to hold up to as many as 5 guitars at the same time! 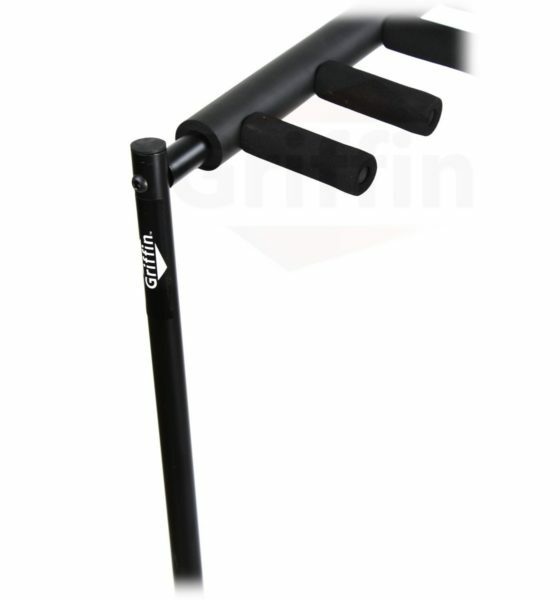 Perfect for multiple instrument display and safe, off the wall storage, this elegant multi-rack stand features black neoprene tubing for extra protection that will keep your guitar finish intact at all times. 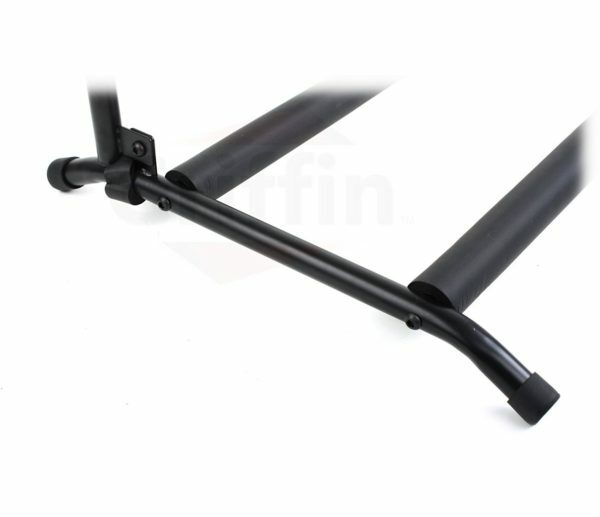 This five guitar hanger stand can also be used to hold other types of instruments, such as basses, ukuleles and banjos! Ideal Solution for Music Bands, Individual Artists, Recording Studios, Churches, Schools and Anyone Performing On Stage! 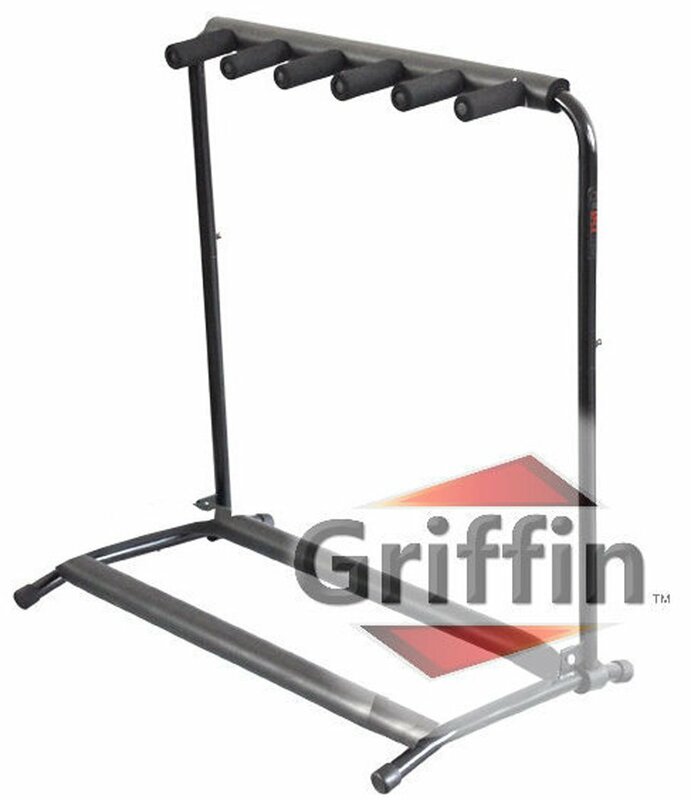 Easy to use, space-saving and extremely durable, Griffins ultimate guitar rack stands are bound to impress you with their heavy-duty durability and sturdy construction! Highly portable, this 5 guitar holder rack easily folds down to a compact size for hassle-free storage and transport, allowing you to take it to your next gig with safety! Our goal was to offer you the best quality multi guitar rack stand in the most antagonistic price in the market  if you check around, you will see that we actually made that happen!  If, however, you arent totally satisfied with your product, we also offer you a 30-day money back guarantee, along with a 1-year replacement warranty! Click Add to Cart Now  As Long As Our Stock Still Lasts! 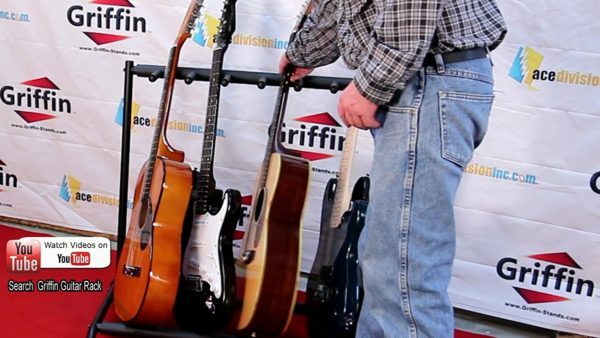 KEEP YOUR GUITARS SAFE & PROTECTED! – It’s a common secret that a musician’s guitar is more than a musical instrument; it’s part of his heart. That’s why we designed this ergonomic five guitar rack holder that is safe for all guitar finishes and will make sure that your guitars are protected, well organized and ready for your next gig! STORE A VARIETY OF INSTRUMENTS! – Our exquisite five guitar stand wouldn’t be such a unique accessory if it could simply hold 5 guitars. 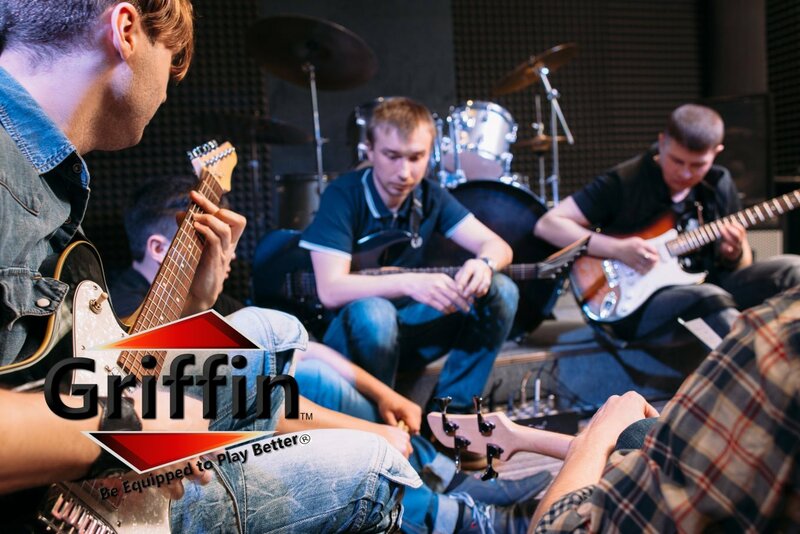 That’s why, apart from storing electric, acoustic and classical guitars, it was designed so that it could also hold your basses, your banjos or your ukuleles – all in all, it’s a string musician’s best friend! PROTECT YOUR GUITAR’S FINISH: This deluxe, folding multi-rack display unit features soft, black neoprene tubing to ensure that your guitars’ precious finish stays intact. Ideal for music bands, recording studios, stage performers, schools and many more! Specifications: Height: 32.5″ (from the floor). Width between neck holders: 4″. Total width of stand: approx. 26.5″. Stand Depth:17.5″. Gross Weight: 8 pounds.